In power electronics, one of the most significant recent advances in converting a DC source voltage to an AC output voltage is by using a Multilevel Inverter (MLI). An MLI is popularly used due to its advantages in improving the efficiency of a power conversion system. It typically involves medium to high power applications including photovoltaic (PV) as the renewable energy (RE) source. The performance of the power conversion system is determined by the harmonics in the MLI output voltage. The MLI structure itself allows reduced harmonic distortion in its output voltage waveform. This project focuses on an Asymmetrical Cascaded H-bridge Multilevel Inverter (ACHMI) topology as the power converter in PV application. The MLI uses Phase Disposition Pulse Width Modulation (PDPWM) as its modulation technique to generate the output voltage. The operation of the ACHMI in PV application is simulated using MATLAB/ Simulink. The results obtained are analyzed to evaluate its performance. It indicates improved overall performance compared to the Symmetrical Cascaded H-bridge Multilevel Inverter (SCHMI), which makes it a suitable candidate as an inverter topology that can be used in PV application. 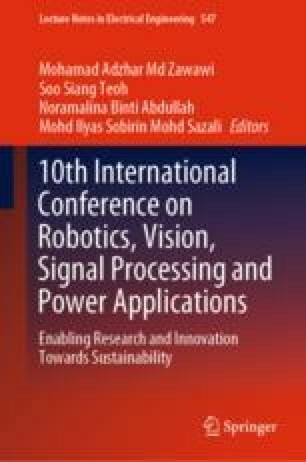 The authors would like to thank the Universiti Teknologi Malaysia for the financial funding of this project with vote number Q.J130000.2623.15J49 and the Research Management Center (RMC) of Universiti Teknologi Malaysia for their supports on research management.